Where are the Beads & Yarn? While as of late most of posts have been about baking (i.e. the Spatula) I have been working on some yarn and bead projects and today I would like to share with you some of the yarn projects. 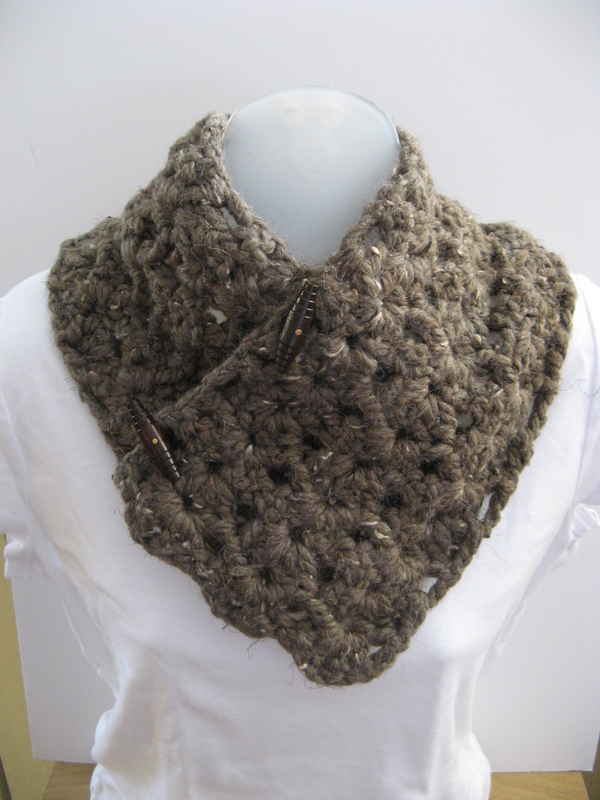 A button-through cowl I made with Lion Brand Wool-Ease Thick & Quick yarn in Barley. This was a quick cowl to crochet thanks to the nature of the yarn (hence the name of the yarn) and the easy pattern working with double crochets. I believe I was done with this in less than three hours! 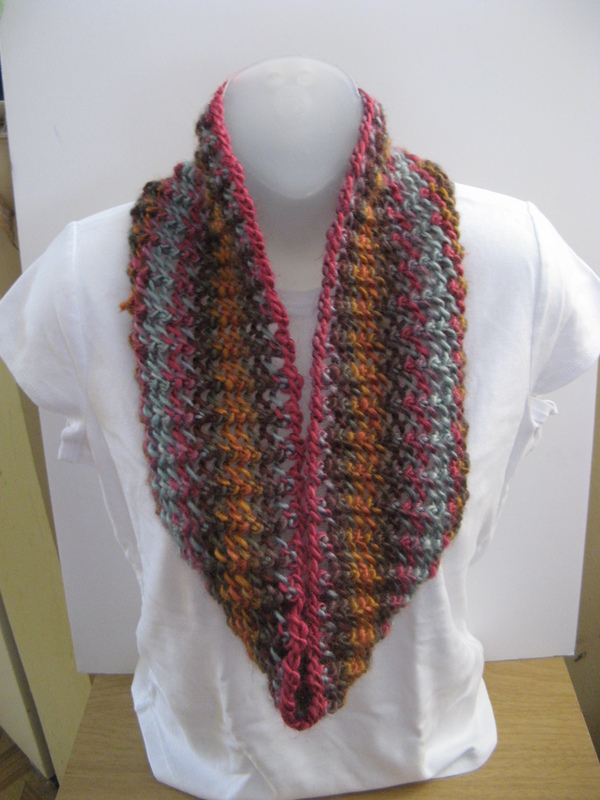 Next I completed another cowl using another Lion Brand yarn, their Landscapes yarn in Desert Spring. It’s a beautiful self-striping roving yarn that’s also great to work with. Well, it was great yarn to work with once I wound it up into a ball as opposed to pulling it out from the skein. 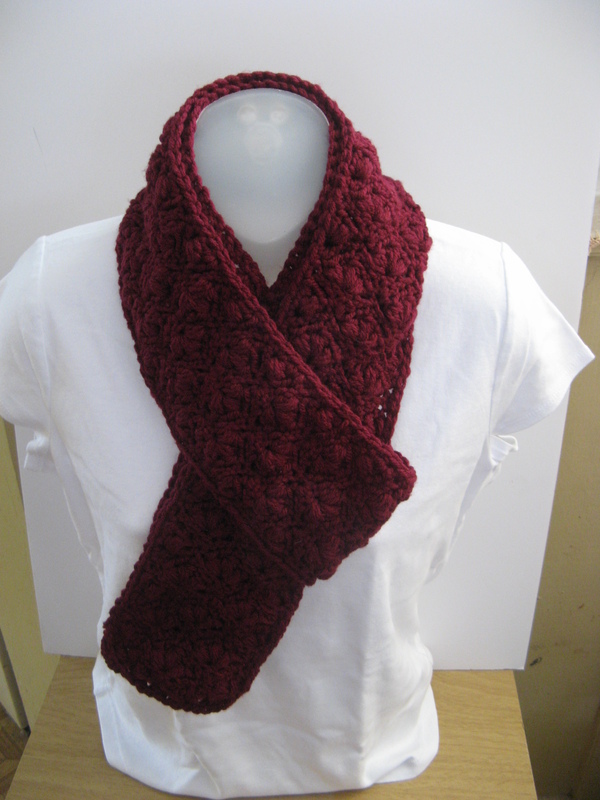 I did that during my first go at making this scarf and the yarn began to fray which affected the outcome of the cowl. Thankfully I bought 2 skeins of the yarn – even though the pattern only required one – so I was able to start over with much better results. One other thing, the pattern called for the cowl to be knitted in the round but I opted to add a few extra stitches and just sewed the ends together. 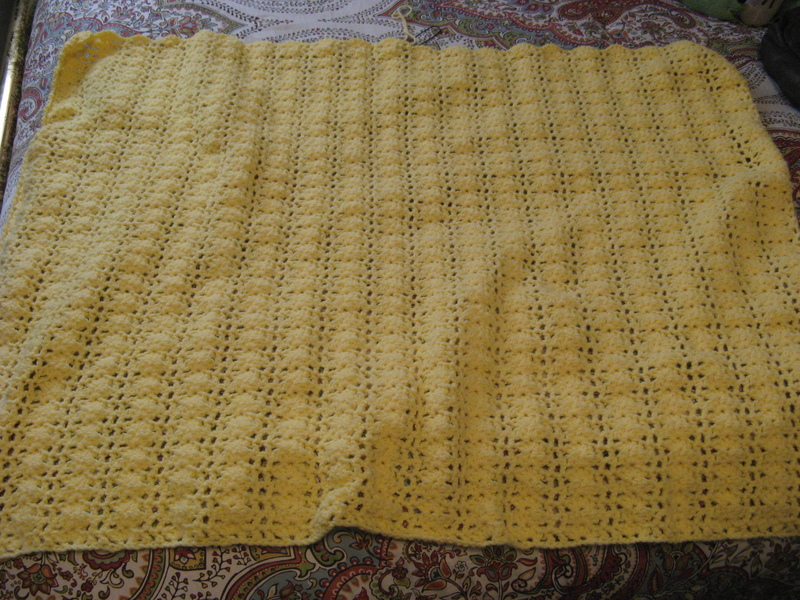 And currently on my crochet needle is a toddler blanket for a friend’s daughter – I actually made a smaller version of this blanket last year as a baby gift for another friend. I’m about half-way done and just about to start working with another skein of Lion Brand’s Pound of Love yarn in Honey Bee. As with the button-through cowl, this blanket is just a series of double-crochets.